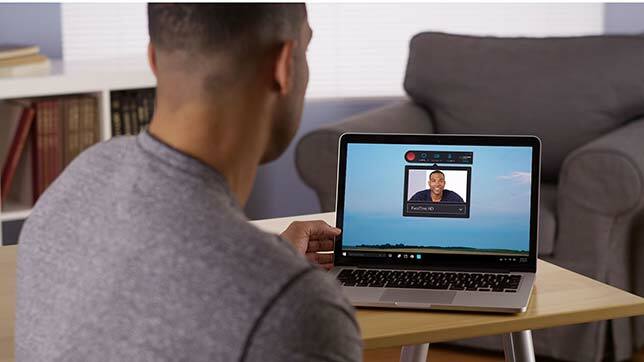 Lecture capture and media management company Kaltura has announced a simple-to-use personal video capture product. Kaltura Personal Capture lets users record both screen and camera in one click. The idea behind the program is to "open the floodgates" to content creation. As new videos are created, they're uploaded to the user's My Media folder, the organization's learning and content management systems and any other Kaltura integrations. Among the use cases cited for schools: applying the program for video assignments, assessments, feedback, demonstrations, course content creation, blog posts, administration communications and alumni outreach. Kaltura's new Personal Capture provides a simple interface for creating video presentations. One institution that has tested the new functionality — and been sold on it — is Oregon State University. According to Raul Burriel, an info technology consultant for academic technology, his school is in the process of migrating from Kaltura's CaptureSpace to the new Personal Capture program. "In our testing we have seen some marked improvements in usability and functionality," he said. "We expect to switch over fully to the new tool in September." "After receiving feedback from thousands of users around the world, we're delighted to empower them to create engaging visual video content at the click of a button," said Michal Tsur, Kaltura's co-founder and president, in a press release. "Personal Capture allows to easily create visual walk-throughs and video presentations, opening the floodgates of video content creation and consumption across an organization. This is particularly of value for teaching and learning, training, product demonstrations, proposal walkthroughs and more."